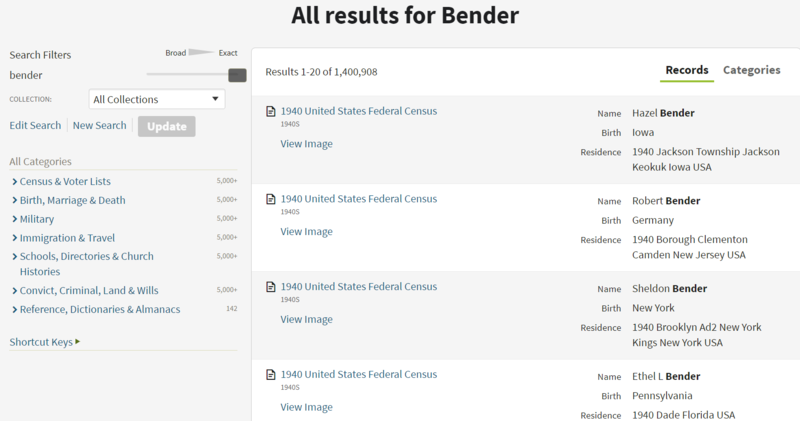 Why is surname Bender not on record? I have been looking in many places on the internet. When I do search, they have nothing to do with my family ancestors or even the surname Bender. I am unable to reproduce your results. Not the answer you're looking for? Browse other questions tagged surnames family-tree or ask your own question. 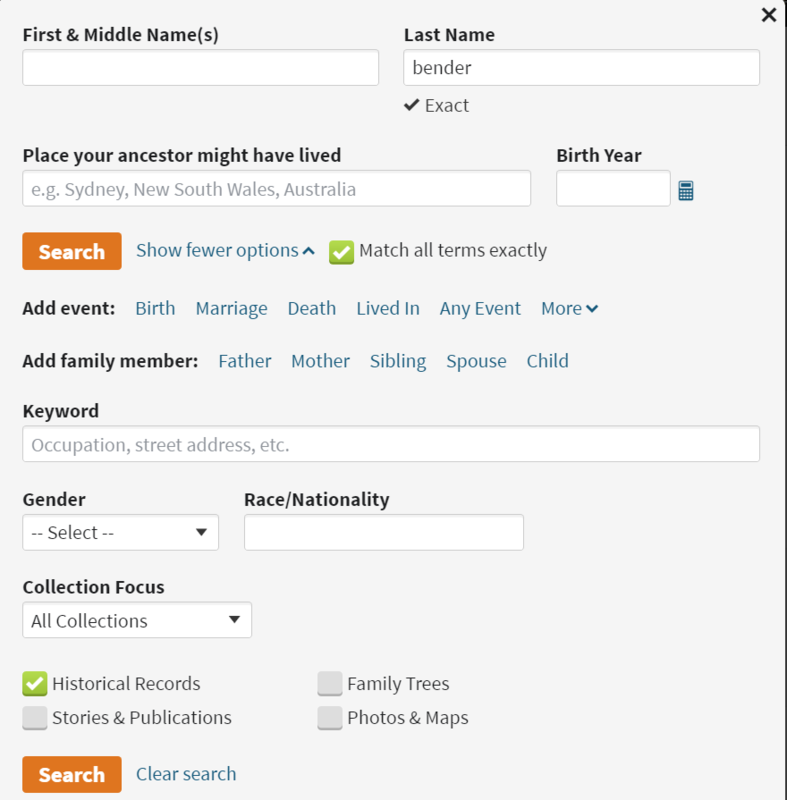 Is there a space to collaborate to create a single family tree (for a surname)? Finding ancestors on hand-drawn family tree?